The World has ended, but that’s just the start of the story. 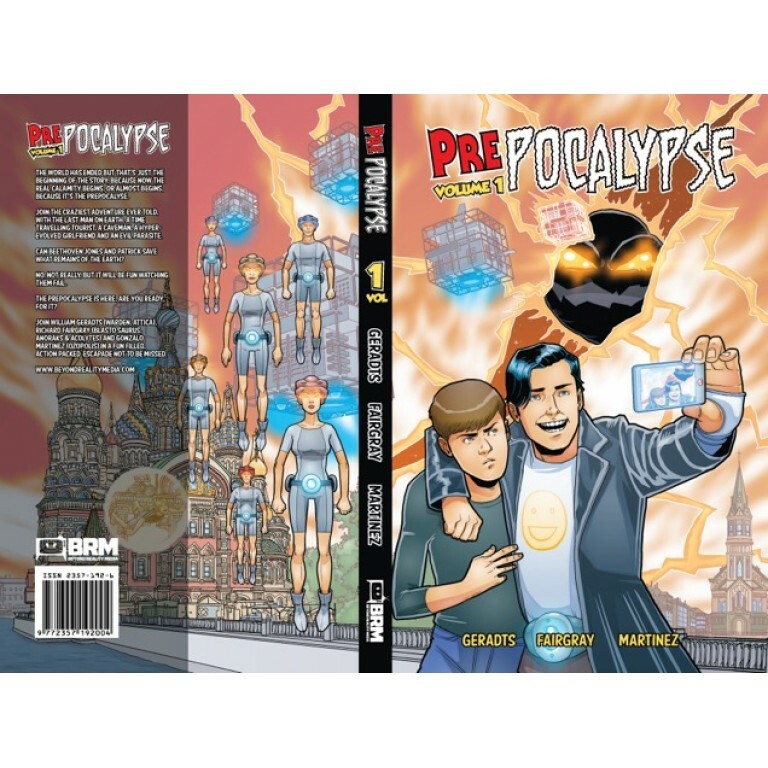 An Apocalypse is coming, and everyone knows that before an Apocalypse you have to have the PrePocalypse. Join the craziest adventure ever told with the last man on earth, a time travelling tourist, a caveman, a hyper evolved girlfriend and an evil parasite. Can Beethoven Jones and Patrick save what remains of the Earth? No, of course not, but it will be fun watching them fail.